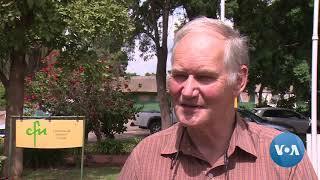 ZITF general manager forced out? ZIMBABWE International Trade Fair Company general manager Mrs Nomathemba Ndlovu is quitting her post in August, five years after taking over the reins. 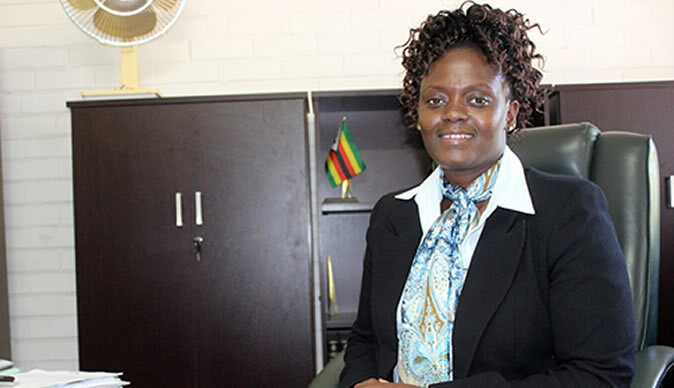 Mrs Ndlovu was appointed general manager to lead the company that has been hosting Zimbabwe's premier trade and exhibition event - ZITF - from Mr Daniel Chigaru in 2013. She had joined the company in 2010 as the marketing and public relations manager. She was promoted to deputy general manager just over a year later, a position she held until July 2013 when she took over the hot seat. ZITF company chair Mrs Ruth Ncube confirmed that Mrs Ndlovu is quitting her post, a week after leading the hosting of one of the largest exhibitions for more than a decade. "First, yes it's true," she said when asked whether Mrs Ndlovu was leaving, "But I want to say it's not with immediate effect or there is anything sinister. "Her husband has business interests in UAE (United Arab Emirates) and she wants to join him there. It's a happy separation. She is only going in August after we have hosted Mine Entra. We are still to throw a big party for her and definitely you will be invited. She only notified us now so that we can start the process of looking for her replacement," she said. However, Mrs Ndlovu was still not ready to discuss the matter. "Really," she said. "I thought it was an urgent business matter, I am driving." The ZITF Company closed for a break on Thursday and will open on 14 May. According to the ZITF website Mrs Ndlovu is described as a seasoned marketer, with over 15 years' multi-disciplinary experience in various sectors including retailing, communications, brand development, exhibitions and event management. She is described as "the project manager of all conferences that run concurrently with the international exhibitions organised by the ZITF Company including the prestigious ZITF International Business Conference that is held during the annual Zimbabwe International Trade Fair." Mrs Ndlovu has also been a committee member in charge of exhibition stand building in the International Conference on Aids and STIs in Africa (Icasa) 2015 Local Organising Committee and also part of the Sanganai/ Hlanganani World Travel Expo Local Organising Committee. The expo is the country's biggest tourism event that attracts over 300 tourism related exhibitors. In 2015, she was part of the Zimbabwe's delegation that attended the Expo Milan. That same year, she was also recognised as the Female Manager of the Year at the Megafest 2015 Business Awards. She sits on various Government and private sector boards and committees. She is currently the co-vice president of the Matabeleland Chamber of the Confederation of Zimbabwe Industries and she sits on the CZI National Council. She holds a B Comm and MSc Marketing from the National University of Science and Technology. This year, Mrs Ndlovu led the company to host the biggest exhibition in over a decade with 47 576 square metres taken for exhibition. A total of 753 exhibitors of which 68 of these were foreign compared to 706 that participated at last year's showcase. There were 18 countries represented at the exhibition compared to 13, which came last year. United Arab of the Emirates made its maiden appearance at ZITF with exhibits from producers of energy products and consumer goods.